The line is available in FG, FG-SU, FG-SS, RA, RA-SU, and HP in 44.5, 51 mm, 65 mm, and 70 mm for Hall and Stryker J-Latch and Key style. These carbides are also available in specialty size FG-SU-L (30 mm). Sabra burs are sharp and can reduce chair time, which increases profit. 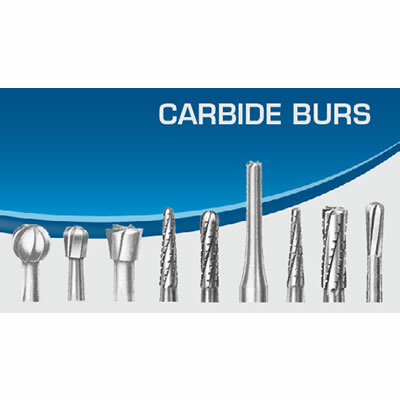 Burs are sold in packs of 5 or in bulk.